Glucomannan is a fiber of vegetable origin, soluble in water, consisting of indigestible carbohydrate chains root of the Asian Konjac (Amorphophallus konjac). 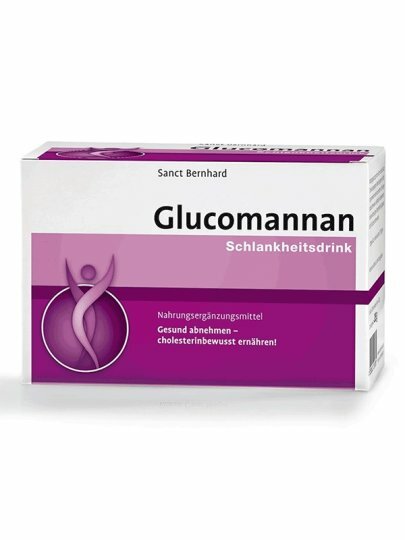 Thanks to its powerful swelling - up to 50 times its own volume - Glukomanan creates a pleasant feeling of fullness in the stomach while at the same time providing a long lasting sense of satiety. This way you deal with an unpleasant feeling of hunger! The European Food Safety Authority (EFSA) confirmed that in the context of an energy restrictive diet, Glucomannan contributes to weight loss. Drink 3 bags a day, 30 minutes before eating, one (1) bag dissolved in 2 dl of water. Drink it right away, as the product will start to look still in the glass as it is a normal occurrence. After that, take another glass of water.